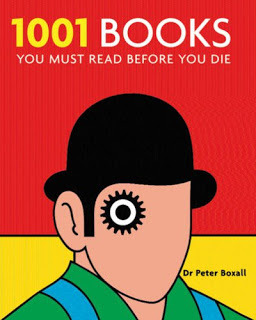 This is a book I thought for a long time I HAD read, and for some reason, I was sure that it's an easy read. Ha-ha-ha. No, I mean, it IS funny sometimes, but plowing through some dense 18-century satire is not an easy feat. Most of all, I'm just glad I'm in the 19th century now, with books that are easier to enjoy. But first, the inquiry stages. The author plays with a chronicle style - although everything happening to Gulliver is surreal and allegorical, he gives such minutiae of his travels as locations, days, measurements, etc. that it totally reads as a real account. Most of the time he wants to explore and learn, but when things get tough, he starts earning to return home. In the end, all he wants is to stay away from the humans, in the blissful country of the Houyhnhnms. The story is told in the first person - G. is telling his own perception of what's been happening to him. It's rather well done, as at first, after encountering something new, it's all guesswork, both for him and the reader. Later, he learns a language or finds somebody to explain and all gets clear. It's set in the blank spots on the map, and there were quite a few of them in the age of exploration. Easy to imagine that they were hiding all sorts of weird and wonderful countries. It's a business-meaning, precise style of a travelogue. Oh, plenty of those here. Pretty much everybody and everything symbolizes something in the political world in Swift's times. Every story begins with G., restless at home and eager for adventure, sailing off and ends with him coming back home, changed and reacting to the people around him in a new way. Do you sympathize with G. and why? I do sympathize with G. most of the time - his thirst for knowledge, aptness with languages, eagerness to learn and understand, determination - all that is very likable. Sometimes he can be really full of himself though. And the way he treated his family - I'm surprised his wife hasn't killed him yet. Did the writer's times affect him? Oh, yes! As it's satire, it's pretty difficult to get what exactly Swift is making fun of without knowing the political context. Swift has also probably read a lot of utopias and travelogues, as well as political writings, as the book resembles the three. I can't help noticing how even the species intended to have a "utopian" society still have social classes (like colors on H.s). Seems like imagining no such division would be too forward in Swift's times. Lilliputs seem to be mocking England, it's political climate and relationships with France; the third journey points out how ridiculously useless and disconnected from real life science is; part 4 is a treatise on human nature and simple, "natural" living. in the end, it seems to conclude that human race is generally disgusting. I agree with many arguments about the ridiculousness of politics, wars, and some laws. Hell, as somebody stuck in academia, I see some of the crazy research from part 3 closely resembling what's happening in the real life)) Is was really funny. However, I can's agree that humans are the inherently evil and disgusting Yahoos. Hey, maybe we're not as cool as the sentient horses, but we're not that bad! I totally sympathise with you when it comes to eighteenth-century prose. It can be ridiculously difficult to read! 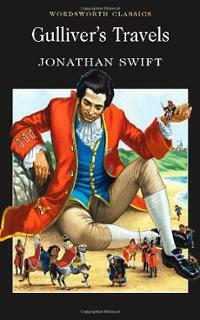 I haven't read Gulliver yet, but it's definitely on my list as a famous classic and satire.